Mobile technology is advancing all the time and when it comes to the cameras that are provided on the devices we have seen major leaps forward. Gone are the days when mobile phone cameras were only suitable for grainy snapshots at best, as now they can rival many compact digital camera offerings. Next year we may see the likes of the Samsung Galaxy S4 featuring a 13MP shooter as the company develops the technology further. As the Android Authority are reporting Samsung states on its own website that it is currently working on a next generation 13MP back illuminated sensor, and is calling it the S5K3L2. This is meant to be used in tablets and smartphones sometime next year, which could mean it may be ready in time for the Samsung Galaxy S4 release. This new sensor will have a pretty standard 1/3.2” format that has a pixel size of 1.1Âµ, which will mean the picture resolution will be 4208 x 3120, and video capture will be at 30 FPS. Samsung has stated that the images will still maintain high contrast despite shooting at these high frame rates. 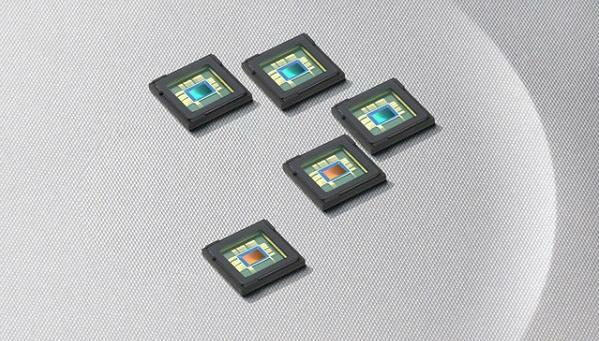 Samsung’s camera sensors are among the most energy efficient in the industry, which will help with battery life when using over a long period of time. Smartphone camera’s are moving into the point and shoot territory with regards to megapixels, and the way things are going it won’t be too much longer before they reach low end DSLR territory as well. It’s not just about having more megapixels though as this means the pixels have to be smaller, especially if handset manufacturers keep the sensors the same size. When pixels are made smaller this means they don’t capture as much light, which can mean lower quality images. A lot was made of the Nokia 808 PureView earlier this year with its 41 megapixel sensor, but the handset wouldn’t have appealed to many consumers because of the Symbian operating system. The way smartphone camera technology has moved on in recent times has meant less of us are buying compact digital cameras, and the woes of Kodak may be replicated throughout the industry. Is your smartphone camera the main device you use for taking photos or video? Know anyone when will release Galaxy S4? thats what they said in the review. samsung galaxy s4 lovely………..itx owsum……. I don’t think 13mp will be much difference to 12mp, but as with most things if you don’t ‘improve’ it on the new device there will be an outcry!